When the first Nintendo Entertainment Center was released, millions of children began immediately bargaining, begging, and negotiating with their moms and dads in hopes of convincing them to buy them the game system. Parents and children alike endured massive lines in malls and Toy's R Us Stores (RIP) looking for that box so they may hopefully emerge victorious. Parents were cutting off other parents in line, pushing, shoving, and snatching, some even offering to pay way over price to obtain the system. What was so special? Why was this system causing such frenzy? I'll tell you why: SCARCITY. They made it seem like the system was scarce. "Will you be the one...? Will you be the first to..."
I remember gazing at the commercial, my heart palpitating as I began to salivate in imagining myself being the kid in the commercial. Those emotions of excitement and false euphoria were wiped away with worry that maybe I wouldn't be the one. Our family wasn't really rich but I knew this was a worthy investment (smile). I remember my parents presenting us with this new game system. It was the world to my older sister and I. We had a system to be able to play video games! We were tremendously overjoyed and thankful that we had scored the new system! The pursuit had paid off. Do you remember when you were in hot pursuit of an item or a person? What did you do? What kind of lengths did you go through to obtain and acquire that which you pursued? The proof of passion is in pursuit. 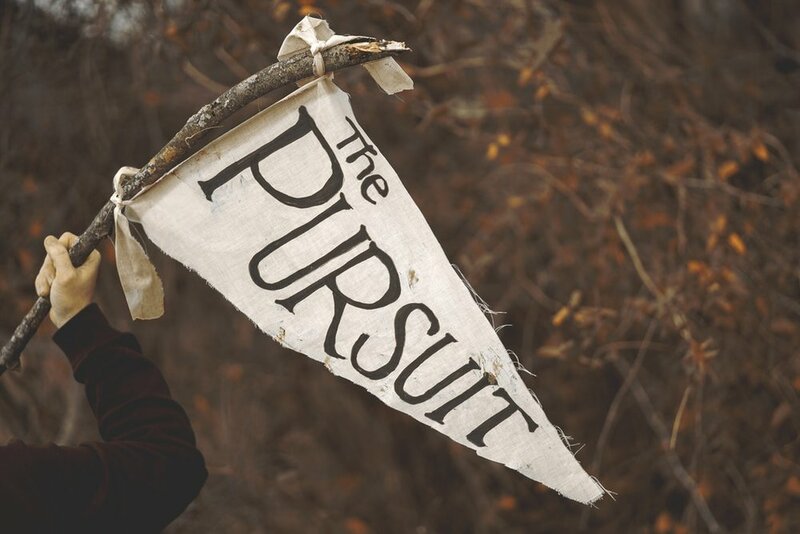 In this episode, I dig into the hot pursuit principle and how we have an opportunity of a lifetime. There is rareness in this opportunity that is unparalleled to any other that stands before us. Will you be one of the first to take that opportunity? Take a listen, subscribe and review us on Apple Podcasts, iTunes or wherever you listen and give us some feedback. When were you in hot pursuit? Let us know. Also if you have any prayer requests; email or message so that we can cover those prayer requests and see the Father work on your behalf.